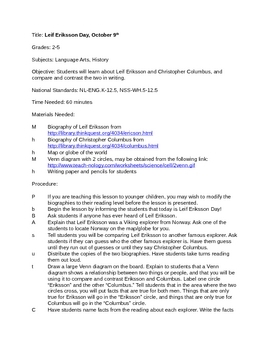 This is a writing activity to celebrate Leif Eriksson Day on October 9th. Students will engage in writing and compare and contrast two famous explorers! This lesson is part of my holiday writing activities; one for every day of the year!